House of Demons (film, 2018). A 2018 American horror film with "R" rating by Smith Global Media. Directed by Patrick Meaney. Official Trailer. House of Demons is a 2018 American horror film directed by Patrick Meaney. 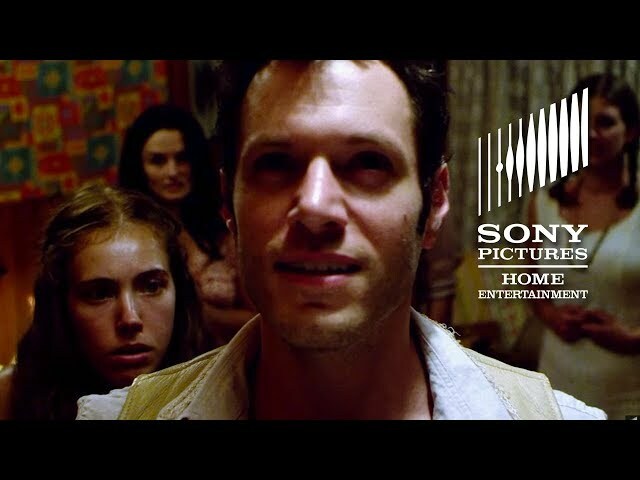 HOUSE OF DEMONS: Official Trailer - Available on Digital and DVD Now. Gwen, Matthew, Katrina, and Spencer were best friends for years, until a terrible tragedy tore them apart, and left all of them in a state of arrested development. Years later, they're reunited for a destination wedding to stay together in a rented house. What they don't know is in the late 60s, the house was home to a Manson Family-like cult, run by Frazer, a charismatic former scientist pushing the boundaries of human consciousness. His experiments echo through time and manifest everyone's darkest fears and memories before them as time blurs and Frazer's cult and the present day collide. Over the course of one long night, everyone must confront their darkness or be destroyed by it. The film House of Demons was scheduled to be released by Smith Global Media on February 6, 2018.